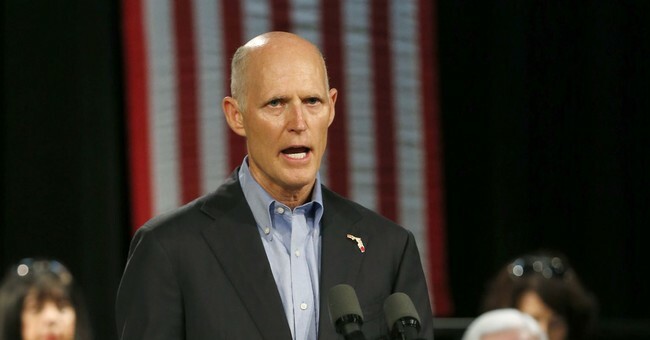 As a registered Republican in infamous Broward County, Florida, this writer offers two salient points regarding the ongoing recount controversy that will determine if Governor Rick Scott will become Senator Rick Scott. As of this writing, Scott is leading incumbent Senator Bill Nelson by less than 13,000 votes — a 0.15 point margin out of over eight million votes cast. My first point is about ballot design and the second is math. Over two weeks before Election Day I voted at my kitchen table along with over 2.6 million other Floridians who chose to vote by mail. The ballot was five pages long. Starting on the first page in the middle column, one had the opportunity to vote for Governor, Attorney General, Chief Financial Officer, Commissioner of Agriculture, State Senator and State Representative. After I voted for Commissioner of Agriculture, already three quarters down the long column, my eyes happened to shift to the left, and there I saw the names of U.S. Senate candidates Rick Scott and Bill Nelson. For a nanosecond, I remember thinking that was weird placement. Furthermore, if I had been in a rush, it is entirely plausible that I could have missed the senate voting square because voting instructions in three languages comprised over half of the first column then followed by the senate and congressional voting blocks. Fast forward to last Wednesday when the design of Broward’s ballot first made national headlines. It turned out that there were more votes cast for Chief Financial Officer than U.S. Senator. According to the most recent voter statistics listed by Broward County’s Supervisor of Elections there are 1,174,851 registered voters. And, when writing this piece I just noticed a discrepancy. The home page of the Broward Supervisor of Elections displays 1,182,120 registered voters, a difference of 7,269. Alert the media. Simple math indicates that 24,992 more Broward County voters cast ballots for governor than senator. But here is the kicker: If those 24,992 Broward voters who voted for governor had also voted for senator, conceivably 68.9 percent of them would have voted for Nelson the Democrat. Thus, Nelson could have won 17,219 additional votes — over 4,000 more than the 13,000 by which he trails Scott going into the recount. Yikes, THAT is inconvenient math! It is yet to be determined if the 24,992 “undervote” was a “machine calibration” issue which will be resolved in the recount or poor design is the culprit. However, I distinctly remember that nanosecond when I thought the ballot design was counterintuitive, and initially missed the Senate voting square. Thus, I believe 24,992 Broward voters could have been “disenfranchised” from voting for a U.S. Senate candidate and that I was almost one of them! If and hopefully, when, Senator-elect Rick Scott emerges victorious from the statewide recount, and if it’s with a slim margin, he can thank the incompetent ballot design by overwhelmingly Democratic Broward County election officials for his new title.